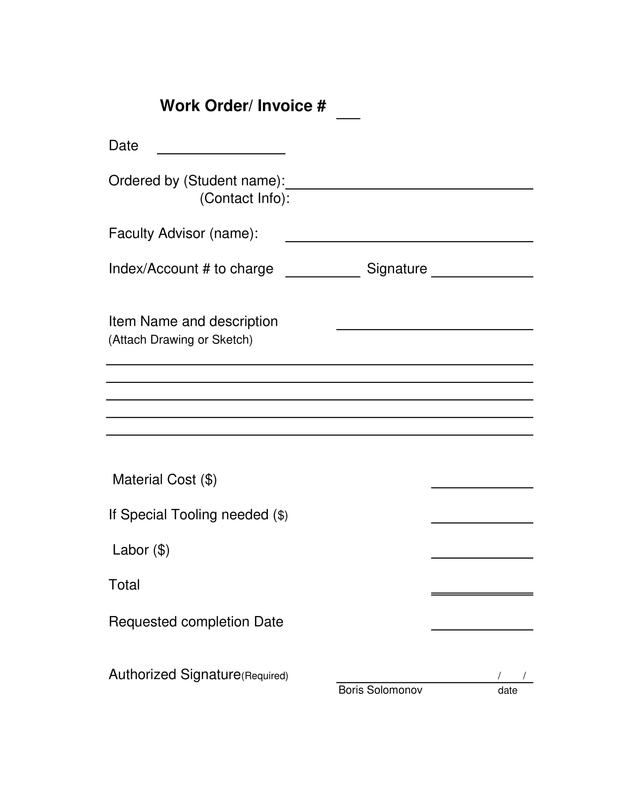 A work receipt is any receipt used to confirm that a service has been rendered. If a plumber repairs a leaking faucet in your house, there is a service being rendered. And your obligation in return is to pay him. But the transaction does end not in there. A documentation must be done to make it official, and that is where a work receipt comes in. 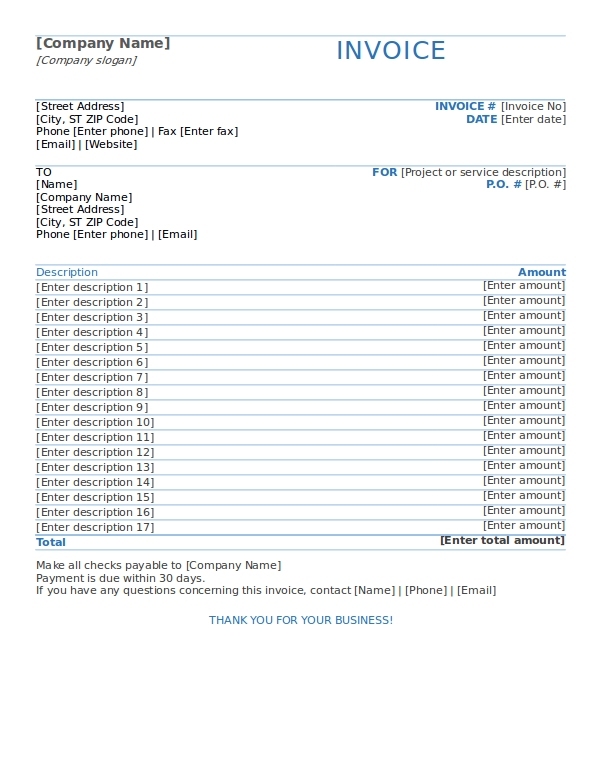 The work receipt confirms that the service has been done on the part of the service provider, and on the part of the buyer, the work receipt confirms that he has paid the service provider. Without the work receipt, there would have been no recording if anything has happened between the two, the plumber and the owner of the house. The work receipt serves as protector for the two parties. In case anything happens, they can always go back to the receipt. Was the serviced provider paid, and how much, what did he render for a service, what are the names of the two? These are information that can be found in the receipt. So to answer the question was he paid, he was because there was a receipt. The veritability of the receipt is strengthened in the fact that there were signatures by the two parties. If one should engage in such kind of transaction, either as a worker or a client, a work receipt should not be forgotten. 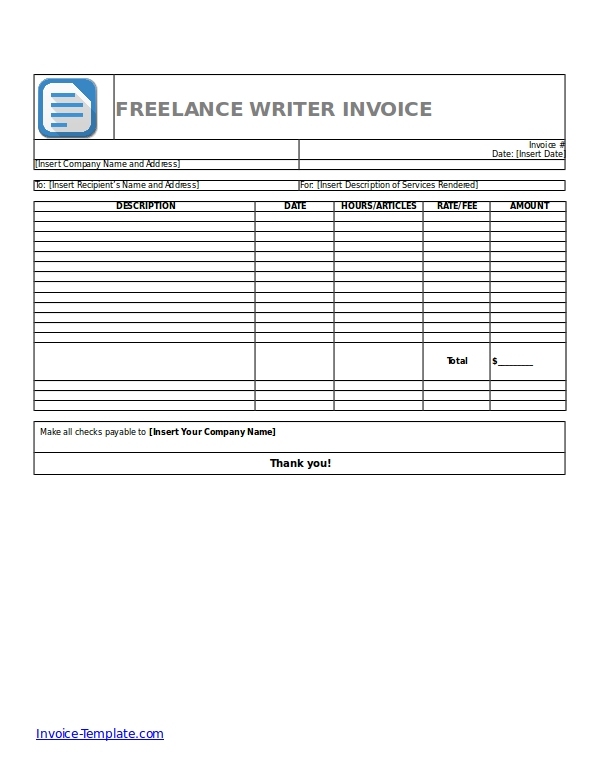 It is easy to overlook a receipt like this if the provider is just a freelance worker. If you are a freelance worker, you will do all the preparation for the business transaction, down to executing the job order. But one should always remember not to overlook the work receipt because that will protect us from future problems or discrepancies. Professionalism. 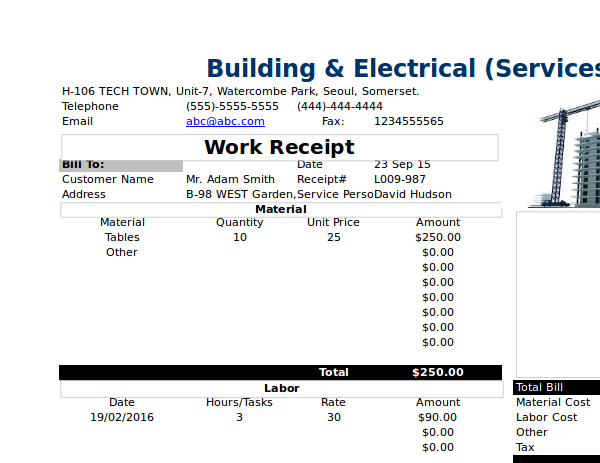 One thing that makes issuing a work receipt attractive is that it makes the service professional. 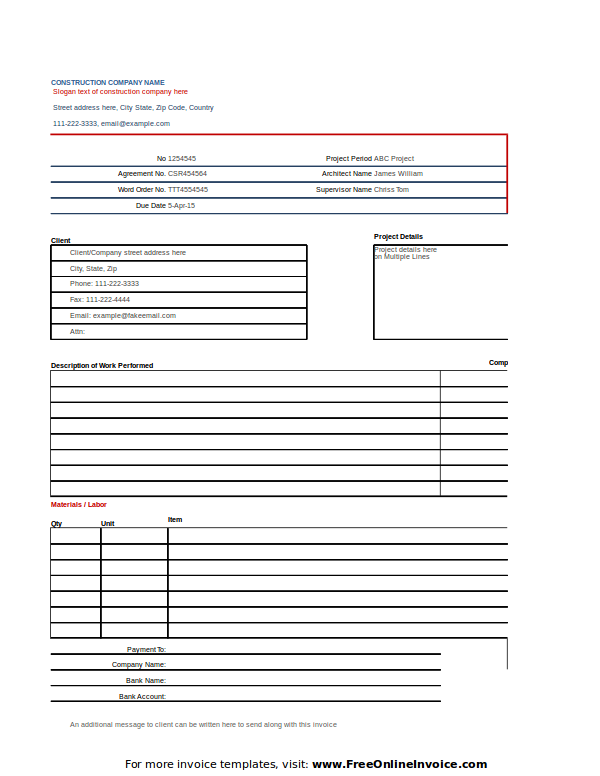 It is professional because there is a documentation of the job order. When giving out a receipt, you are paying respect to the people involved in the transaction. You are showing that you want your customer to be protected from any discrepancies. You are showing that you are always ready to be called again, for probably some backlogs. There is that sense of liability. You enter into an unspoken agreement. Why Is a Receipt So Important? In school building repairs, a principal would hire a freelancer repairman. The school hires a freelancer only because the job order is a small one. When the job is done, the repairman gets paid. The project was a school project, meaning, it has some fundings from the national level. But, the budget will only be given only after the project is done. What the school principal does is to show to the higher department the expenses used during the repair. Now if there was no receipt given by the repairman, the principal could not be given any refund. Another concern would be, what if the repairman gave the principal an invoice and not a receipt? The question is very tricky because our understanding of the terms invoice and receipt varies from one place to another. And we are referring to invoice for services and receipt for use on product purchases. Let us try to stay away from that understanding. Rather, let us stick to one meaning, one stance from here on and that is invoice used before purchase and receipt used after there is a payment. Now, if that is our meaning of invoice, that which is given before the payment, then that will not be honored for a refund. In a government setup, agencies will honor only the receipt. 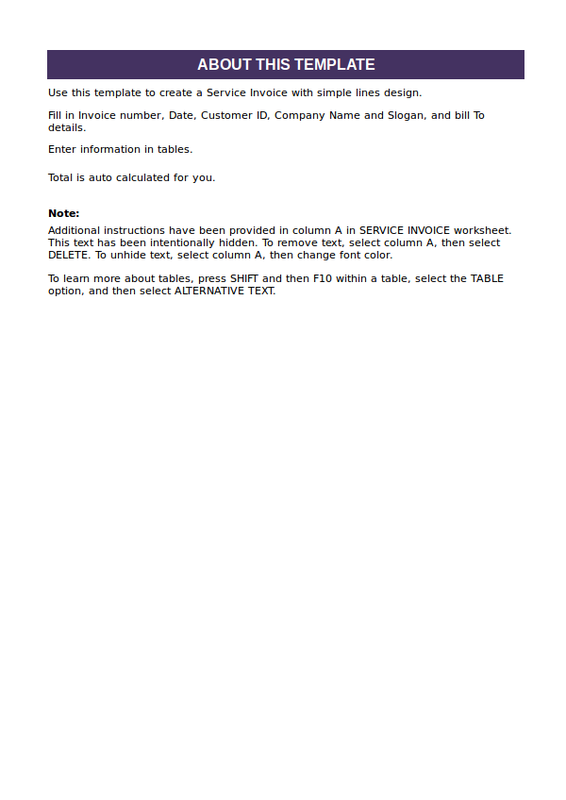 That means the documentation slip that shows the actual expenses of the purchase. In an invoice, there is only the request from the service provider how much the customer needs to pay should they push through with the purchase. So, either as a service provider or a customer, it is important to consider if the project has some pending budget, like the ones from the government agencies. Their means of funding is done through refund, and only by the use of a receipt. Now you have some grasp of what a work receipt is, you may ask, how do you get one, and how you can make your own. There are many downloadable receipts online. Sometimes they resemble just like an invoice, and the only thing that differentiates them is the name. So make sure you get the right one. Some providers, because they look just the same, would vary the two by the colors of the paper. Usually a receipt is white, plain in color. 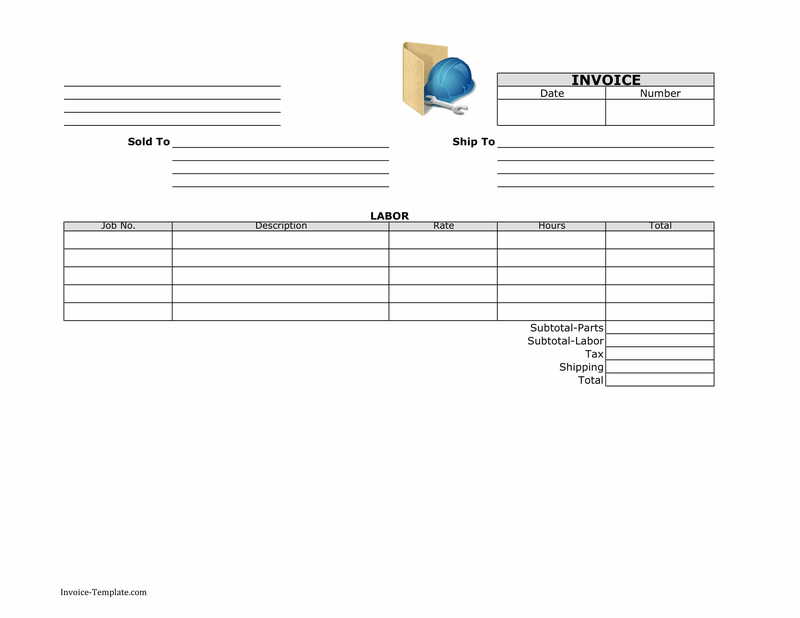 The invoice on the other hand can be blue, yellow, or pink. Name of the service provider. As much as possible, your name should be registered. And by name, it could be your personal name or a company name. Registration number. If you are not registered, your receipt would be as good as a dummy. Your receipt is not like a quote slip or a delivery slip. Your receipt should be officially registered. Date. This would be the date when the items were purchased or the serviced rendered. It is important for when there will be problems, the client can always ask when the items were purchased. Names, signatures. As much as possible, there are names and signatures of both the provider and the customer. Particulars. This is where you list the items purchased. It includes the breakdown as well as the total amount. Contact number. As a service provider, it would be professional to include your contact numbers, land or mobile, and even your email address. This will let your clients feel that you are ready for anything in case a problem occurs. A receipt usually has a duplicate. What others do is usually make a carbon copy of the original copy. Cashier. It would also help if the name of the cashier appears on the receipt. A store can have many cashiers, so it is important that the name of the one tending the machine or entertaining the client should appear in the receipt. We have mentioned invoices and receipts, but there are two others as well that may look just the same. You may have already heard of them: quote and delivery slip. The confusion that may occur between an invoice and a receipt may be apparent. In a quote and delivery slip, the definition is clear. A quote is a slip used before a provider may use an invoice. The purpose of a quote slip is for the two parties to make room for negotiations. It is here that a price tag of, for example, $100 could be changed to $90. After some negotiations, the negotiated price of $90 will reflect on the invoice. 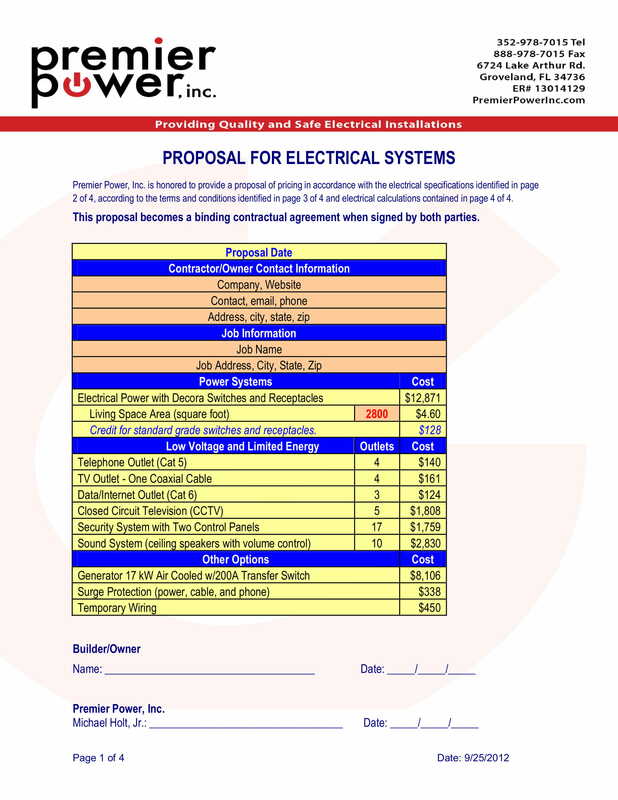 Or another negotiation would be to get a bigger discount for the total amount payable. Some provider may skip using a quotation and instead just do the negotiation verbally. That happens at times. But having a quotation can make an impression on the buyer. You will create an impression that you are professional in your business. You are making a documentation instead of just the verbal way of business. When a purchase is done from a far distance, and when the two parties, buyer and seller, do not meet in person, such is the case that items are shipped. When items are shipped, the provider may send along a delivery slip. A delivery slip is a documentation for during or after sales purchase, usually to verify if the recipient actually received the item purchased. In the traditional setting, a delivery slip is just like any other slip with some space for the recipient to sign. In modern days, it is just an electronic device with some sensor enough for the receiver to make some signature. So there is the word or two about a work receipt. The Internet is full of examples. So there should be no reason why someone cannot produce one. It is important for a business to survive, it should live up to a professional level. And a business being professional means it is registered. Because if it is not registered, it cannot operate and cannot issue official receipts. A receipt can be easily furnished. But it has to have that registered number to make it official. Anyone into serious business should make use of a receipt. The buyer is paying your services, so should you be paying for legal liabilities that is required for a business to operate. People, the clients, will look up to you. And if you cannot show some professionalism in your service, you will lose some clients.